WASHINGTON, D.C. – Today, LULAC National Executive Director, Brent Wilkes, issued the following statement in response to the U.S. Department of Education’s gainful employment rule, released today. “The gainful employment rule released by the Department of Education is a positive first step in creating the necessary checks and balances to ensure that for-profit education institutions with career education programs accurately represent their programs to students seeking higher education. The rule would require covered programs to fully disclose costs, debt levels, and employment outcomes. In addition, the rule would ensure that programs are in compliance with accreditation and professional licensing requirements. “Since 90% of the for-profit college revenue comes from federal sources these entities should be required to show that the public is getting a return on the investment of public dollars into their institutions. 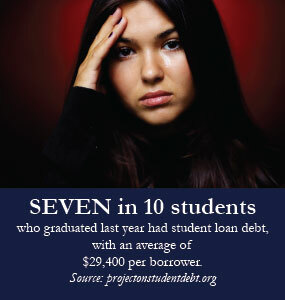 For-profits enroll 10% of students but are responsible for 50% of student loan defaults. The claim from the for-profit industry that the gainful employment rule is bad for minority students is akin to payday lenders calling usury caps bad for minority borrowers. As an alternative, community colleges offer a far more cost effective education with better outcomes for a fraction of the price. Protecting minority students from predatory practices of some of the worst for-profit college offenders is the right thing to do. The gainful employment rule is a big step in the right direction but ideally the federal government should offer free online college education to every student in America. The need to increase the educational attainment of our workforce is too important to leave it in the hands of for-profit institutions who charge private school tuition rates for the same online course over and over again.